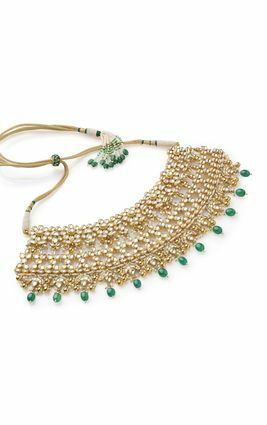 An ornate band of pear shaped radiant white stones set in gold polished silver, amid rows of square cut and circular white gemstones, to form a beautiful traditional necklace. 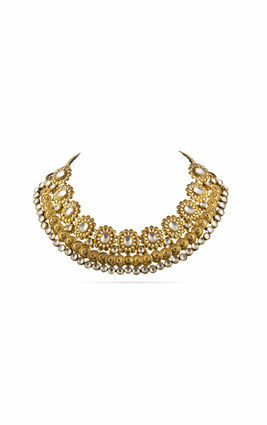 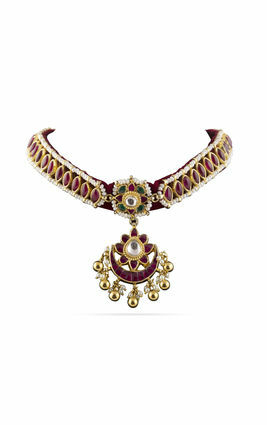 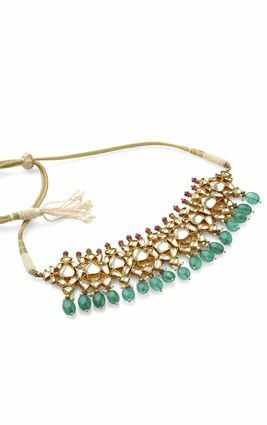 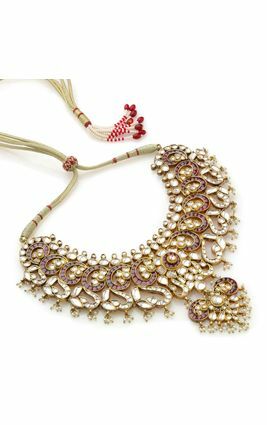 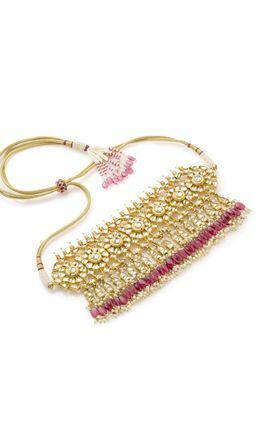 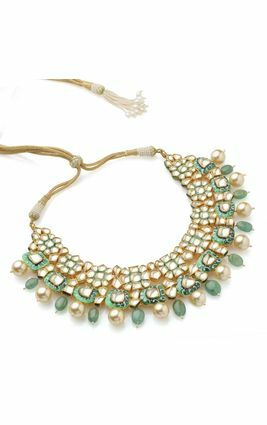 Tiny bunches of golden balls and delicate pearl jhumkis make this necklace fit for royalty! 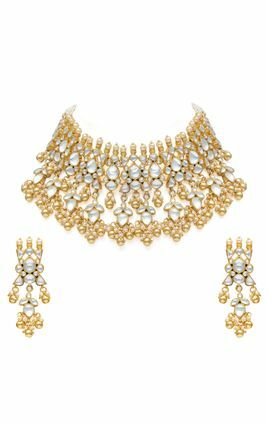 An ornate band of pear shaped radiant white stones set in gold polished silver, amid rows of square cut and circular white gemstones, to form a beautiful traditional necklace. 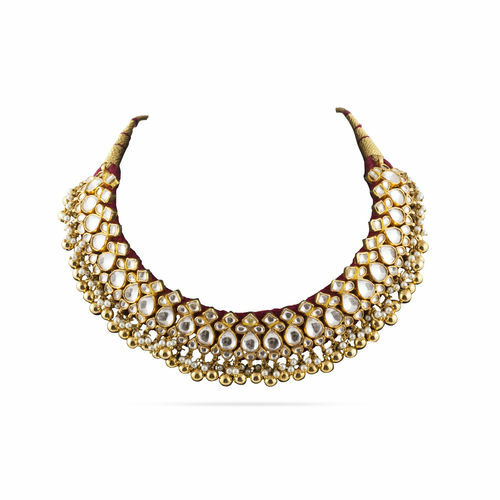 Tiny bunches of golden balls and delicate pearl jhumkis make this necklace fit for royalty!